Wednesday, May 15, 2019, 2:45 p.m. – 7:30 p.m.
* 5. Program Charge is $75.00 for MMLA members current on their dues and local officials. The fee includes the seminar, electronic materials and a buffet dinner. There is a $10.00 surcharge for non-dues-current MMLA members. 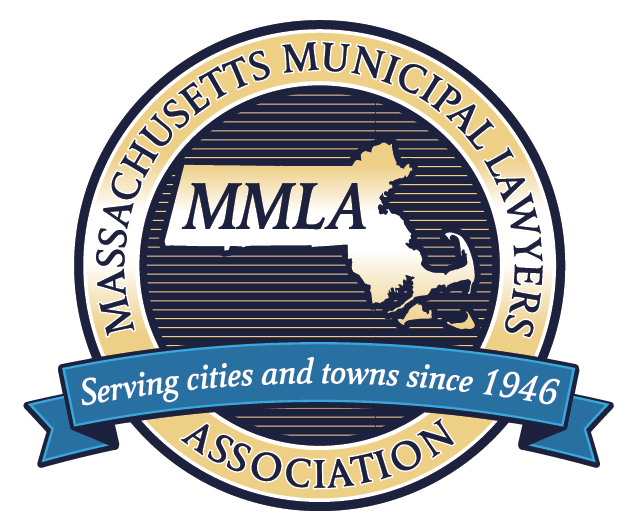 Massachusetts Municipal Lawyers Association, Inc. If you have any questions about this program, please contact the MMLA office at 781-749-9922.